You’ve seen them all over Mexico. 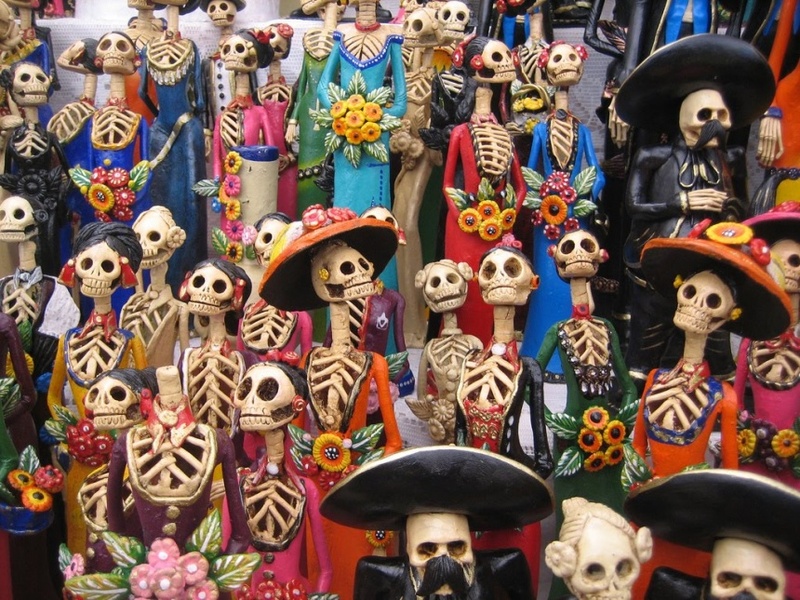 Skeleton figurines that depict people in every walk of life. 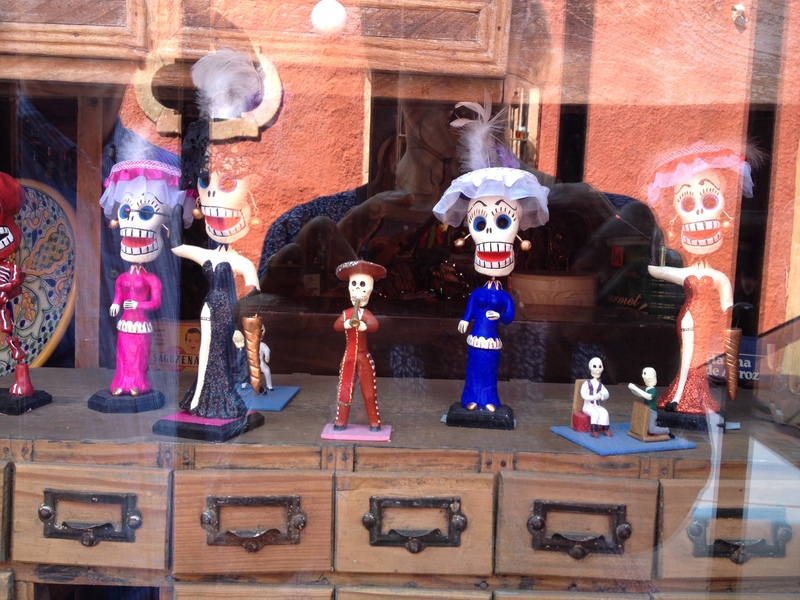 They take the form of shadow boxes, earrings, tee shirts, family trees — entire collections of these bony characters. 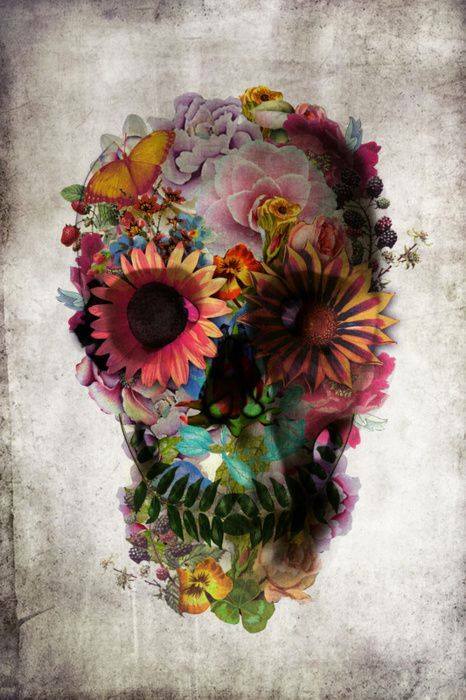 Sugar skulls decorate windows, and skeletal figures greet you at many establishments during the day of the dead. The skeleton and the skull are the primary icons of the Day of the Dead and you will even see references to them long after the holiday is over. One cadaverous figure in particular has come to be the most important symbol of this traditional holiday. 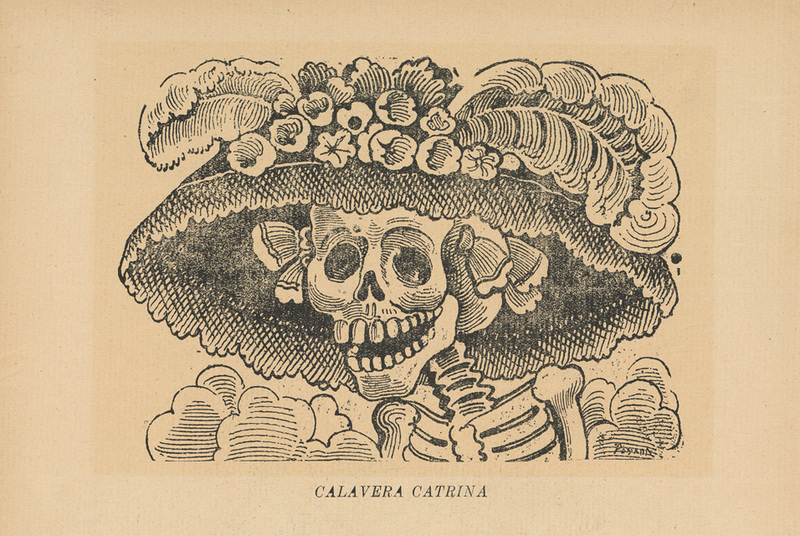 La Catrina came to life in the form of a zinc etching by the artist, Jose Guadalupe Posada. The image depicts a female skeleton dressed only in a hat befitting of the European upper class. She is a satirical portrait of those Mexican natives who were aspiring to adopt European aristocratic ways in the pre-revolutionary era. Although she was attempting to pass herself off as upper-class, the fact that she wore no clothes tipped us off that she was, actually, penniless… a reference to the vast gap in the classes of society. She suggests that death is the ultimate equalizer. 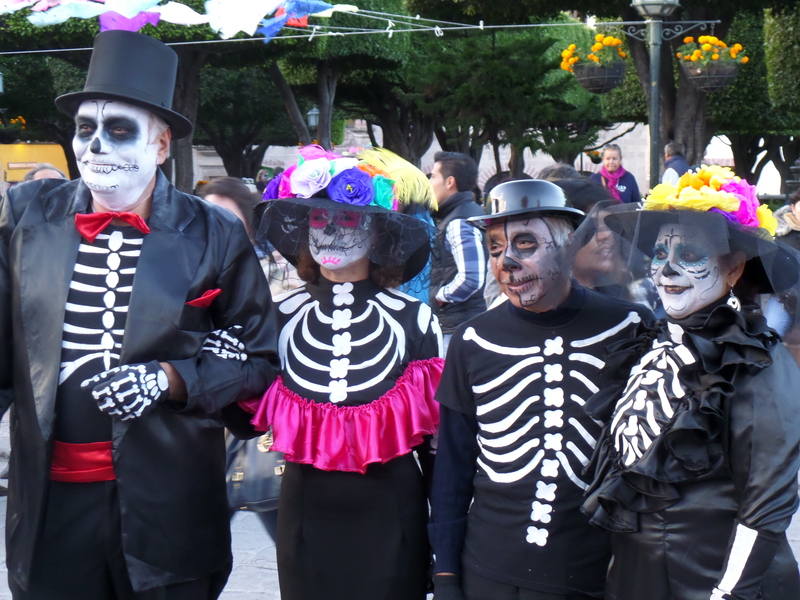 As the most recognizable icon of the Day of the Dead, party goers throughout Mexico imitate La Catrina and compete to recreate the most alluring and creative version of her. This is quite a contrast to the American holiday of Halloween, where the variety of characters portrayed through costume is enormous. 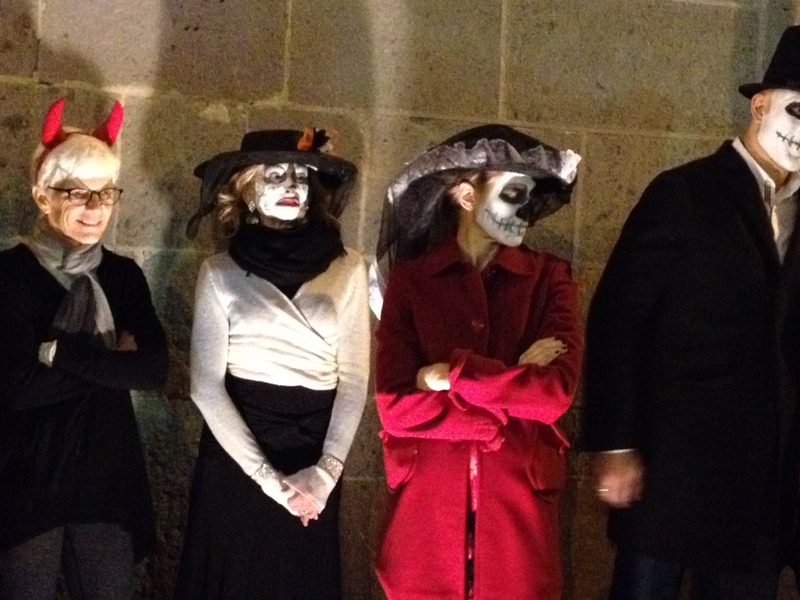 In Mexico, it’s all about being the best Catrina (or Catrine) possible. That is the challenge and focus in celebrations across the city. Hotels and restaurants host parties, providing makeup and hat decorations. The gardens are filled with face painters. Many neighborhoods host block parties. Parades are launched from every direction, all headed toward the main Jardin. 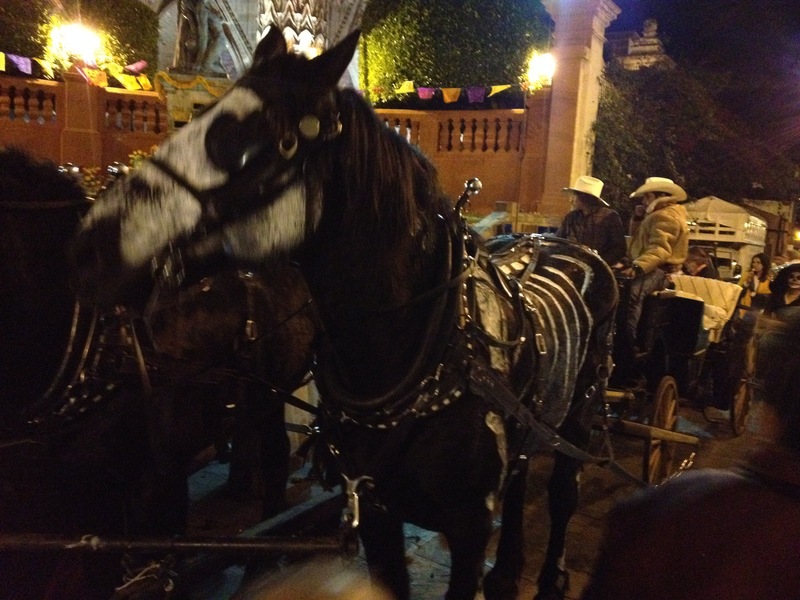 A moving mob of skeletons, right down to the horses leading the mass. 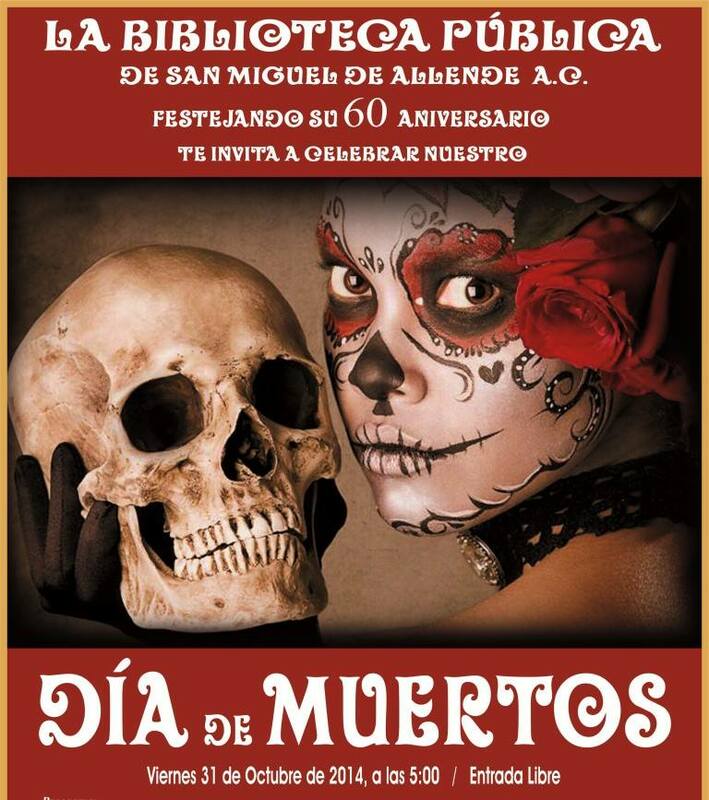 There are many activities associated with el Dia de Muertos here in San Miguel. I suspect that many of them cater to the large population of gringo and the town’s dedication to public celebration. 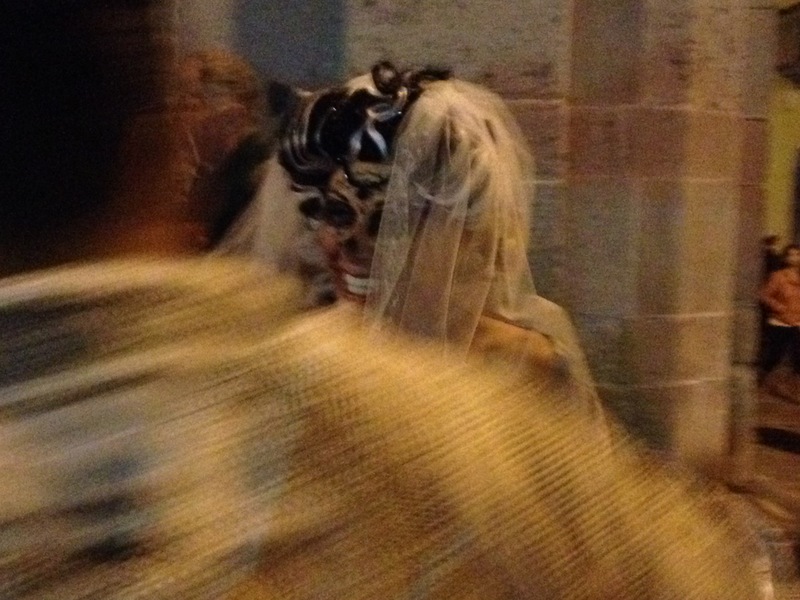 But the jovial atmosphere permeates all walks of life. But, in addition to a lighthearted celebration, there is a lesson. We can imitate, scoff, and outright laugh at death. Because — in the end — everyone is equal.